Cautiously Optimistic marks the debut recording from Scott Evan Davis. 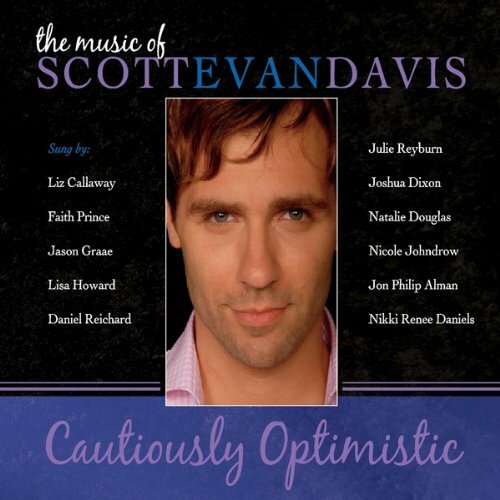 A group of theater and cabaret performers gathered to interpret his songs: Faith Prince, Liz Callaway, Jason Graae, Natalie Douglas, and many others make appearances on the recording—produced, arranged and orchestrated by the multi-talented pianist/arranger/conductor, David Snyder of Sonic Landscapes Music. Watch SED sing "I Am" LIVE from his concert at Birdland on October 31st, 2011. Watch the incomparable Julie Reyburn sing Scott's first song, "Cautiously Optimistic" for his concert at Birdland on October 31, 2011.